Fertilising in Autumn is the key to get the best out of your lawn over the Winter months. Lawn Solutions Premium Fertiliser has the right balance of essential nutrients to sustain your lawn through the coming winter months and into Spring. As the growth of your warm season grasses which includes Buffalo, Couch and Kikuyu varieties begins to slow down (dormancy) for the winter period, winter weeds may begin to take hold and become problematic. Get onto weeds straight away. Identify them and treat appropriately. Lawn Lovers All Purpose Weed Control controls most common weeds including Bindii, Creeping Oxalis, Clover and Dandelion to name a few. Weeds such as the annoying Winter Grass Weed can be controlled with Winter Grass Killer Spray. Not all weed killers are suitable for all lawn types, read instructions carefully or alternatively ask our staff in store for advice for the best way to treat your lawn. When mowing during winter it is best to keep your lawn a little longer, this helps keep the lawn looking greener, allowing better photosynthesis and food supply. Do not mow your lawn when the grass is wet as this will clog the mower, wet grass clumps together, creating an uneven cut as your mower wheel goes over the clumps. During Winter, water less frequently and only if your lawn needs it. 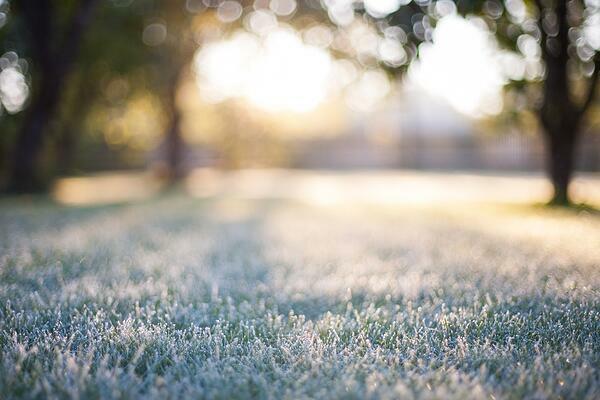 During periods of frost do not water in the evening but rather in the early morning to dissolve frost. Over Winter, warm season grasses become dormant or semi-dormant, and are unable to repair itself until spring (September) so if possible limit the amount of traffic that uses the lawn to avoid stress and damage from wear and tear. Since the warm season grasses become dormant over this period, they will lose their colour becoming yellow. A great product on the market is Colourguard by Lawn Lovers. This product is a green pigment that is sprayed on the dormant grass making it a lush green over winter months. On the other hand cool season grasses such as RTF (Rhizomatous Tall Fescue) and Rye grasses require a slightly different approach to care over the winter period. As this grass is an evergreen variety it will continue to grow and does not become dormant. These grasses are not drought tolerant like the warm season grasses and require continual watering throughout the year including winter in order to keep growing (unless it has been raining). As this type of grass is still growing over winter, regular mowing will be required at a slightly lower level than your warm season grasses. This allows more light through reducing moisture and stopping fungal and lawn diseases.